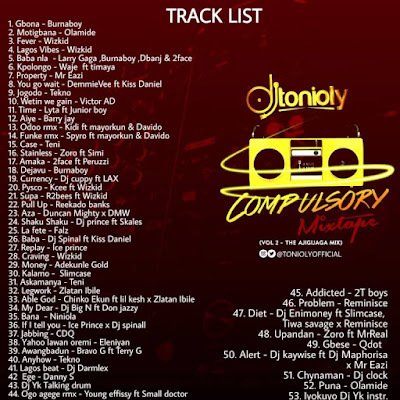 AYAYA MIXTAPE: DJ Tonioly – The Compulsory Mixtape (Part 2) | [The Ajigijaga Mix] #BeHeardBeSeen - AYAYAMEDIA - Be Heard Be Seen ! Dj Tonioly Is back with another mixtape titled The Compulsory mixtape part 2 (the Ajigijaga mix). Check it out below and drop your comments.